"The younger guys wanted to beat me, I'm the man to beat. I had to dig in deep...It was important to come out here and win the race ..."
"These guys will go back home and they know they tried to race me over the last lap today and they know they don't want to leave it to the last lap (in Moscow). They'll probably sacrifice someone to go hard somewhere. Even today they were talking today amongst each other, the three Ethiopians." - Mo Farah after winning a thrilling 5,000 race at the Birmingham Diamond League meet yesterday, talking about how his competition might try to beat him at Worlds. The Ethiopians he beat yesterday will likely be some of his toughest he'll face in Moscow, but Farah beat them all in the last lap with a 53.40 400. Farah Over Alamirew - 53.4 Last Lap!! Yohan Blake out of Moscow? 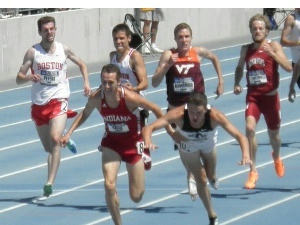 Props to Joe Stilin for calling USATF out! No track in field athletes in this year's ESPN Body Issue. Who shoulda made it? Anyone here ever been "That Guy?" What's the CRAZIEST thing you've ever done in a race??? 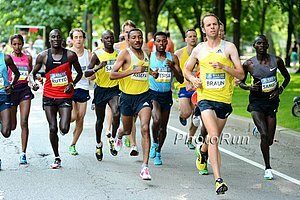 Bekele And Blake Out Of Worlds? Kenenisa Bekele Wins Belgium 10k In 27:46; Probably Won't Be Selected For Ethiopian Worlds Team(translated, link fixed) He said when the pacemaker dropped out at 5,000m, it was too difficult to set the pace on his own in the wind. He won the "unofficial" Ethiopian Trials at Pre Classic, but three other Ethiopians have run faster than him elsewhere this year - Dejen Gebremeskel (26:51.02), Abera Kuma (26:52.85) and Imane Merga (26:57.33). Jamaican Observer Reports Yohan Blake Out With "Sensitive Injury" That Will Require Surgery; Won't Defend His 100m World Title They report they were told this by a "senior athletics official." IAAF Recap Of European Cup Combined Events Champs: France Wins Over Russia In Team Competition France's Kevin Mayer won the decathlon and Poland's Karolina Tyminska the heptathlon. Good NY Times Tribute Article To 1956 Olympic Marathon Champoin Alain Mimoun Include quotes from Mimoun about his interactions with Emil Zatopek. Nick Symmonds Edges Duane Solomon At Edmonton International Track Classic (Results) 1:44.86 to 1:44.91. Michael Rutt was 3rd. Ryan Wilson beat Jason Richardson in the 110H. Lolo Jones Wins 100H In Wind-Aided 12.49 As Olympic Silver Medallist Luguelin Santos Won The 400 In 45.81 Paul Kipsiele Koech won the steeple in 8:16.71, Sanya Richards-Ross was 3rd in the 400 with 51.77. Maggie Vessey was 2nd in the 800 with 2:02.28. Monday In Canada: Preliminary Start List For The July 1st Jerome Classic 1,500 has Nate Brannen, Jeremy Rae and Americans Mac Fleet, Matt Elliot, Craig Miller and Trevor Dunbar. "Rejected At The Paddock": Texas Distance Runner Joe Stilin Talks About His Disappointment And Frustration At Being Rejected From The USA 5k Field That Only Had 9 Guys "The name of the meet says it all - The United States Track and Field Championships - so why did the 5,000 final include such an alarmingly small fraction of the talent in the country? ... The meet should help younger guys gain experience and exposure. 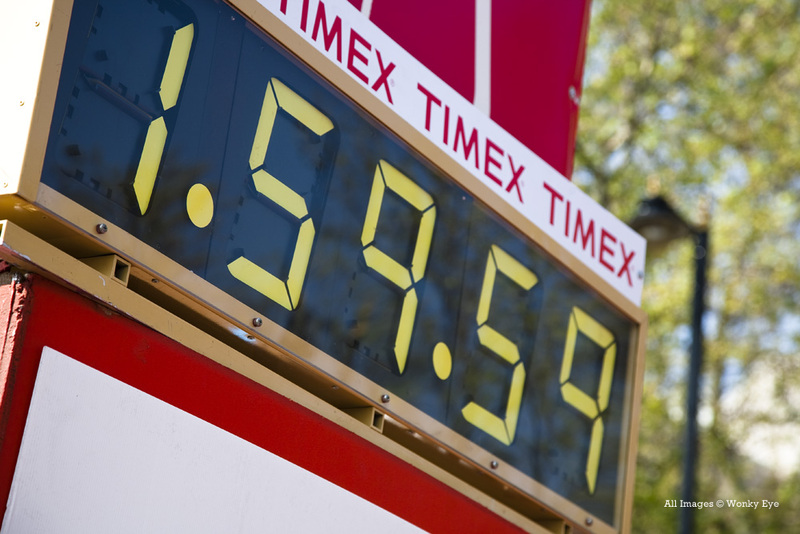 Instead, the race ended up being a jog fest for Nike's athletes in front of a small crowd." *More: Mick Byrne On USATF Not Filling 5,000m Field: "Someone in USA Track and Field is not doing their job, it's that simple." Someone Is Not Doing Their Job: GB Hurdler Tiffany Porter Says She's Inspired By Brianna Rollins' Performance At USAs But She Didn't Get To Watch It Because The Live Feed Cut Away During The Race You have a stacked race with Rollins, Kellie Wells and Lolo Jones and that is what gets cut out of the live feed? Probably to show someone receiving their award on the medal stand. Ridiculous. JAAA Says That They're Still Waiting For The Official Result Of Veronica Campbell Brown's "B" Sample Before Moving Forward According to this Jamaica Gleaner article, the results came back two weeks ago and the "B" was positive. Did St. Kitts & Nevis Sprinter Kim Collins Apologize To His Federation For The Olympics Last Year? In London, they ridiculously suspended him from the Games for spending the night outside the Olympic village with his wife. They should be the ones apologizing to him. Daily Relay 5 Questions With Former 400 Hurdler Turned Top US 800 Runner Brandon Johnson It seems that after his run at USAs, he now has a sponsorship with Nike, not only gear. Jordan Hasay's And Tara Erdmann's Attempt At The 10k "A" Standard Moved From July 17th To July 15th; Will Be At Roosevelt HS In Portland The backup date for the attempt - in case weather conditions are poor or one of the runners is ill - is July 19. One Missed During USAs Last Weekend: Pat Rizzo Won Seattle RnR Half In 1:05:58 Australian World Championships marathoner Shawn Forrest ran with Rizzo early, but finished 3rd in 1:09:03. 15:14 5k Runner Jackie Areson Switching Allegiance From The US To Australia Ahead Of The World Championships She ran at the US Trials last year, but only because she had been advised not to switch to a foreign country right out of college for sponsorship reasons. Her latest attempt at the "A" standard was a miss as she ran won her race in Biblo Spain last weekend, but ran 15:39. Sanya Richards-Ross And Christian Taylor Among Stars To Support Special Demonstration Of IAAF Kids' Athletics/Nestle Healthy Kids Project In Vevey, Switzerland on July 5th. Post USAs Kara Goucher Blog Post: "You Can't Always Get What You Want"
Arcadia HS Cross Coach Jim O'Brien Fired After Painting X's On Broken Lockers To Prevent Theft Based on this RW article, that was the immediate reason, but his conflict with administration at the school goes way back. Athletes and parents are protesting the decision. Recommended Read: Meet USATF's Rags-To-Riches Hero Matt Elliott - The Total Unknown Who Snagged Fourth In 1,500 Getting 4th was amazing but his life story sounds even better. He teaches K-3rd grade for kids who have all been "removed from their homes because of abuse, abandonment, neglect." A recommended read and his post-race tearful video interview is a must-watch as well. Cute Story (Some Might Say TMI) Everything You Want To Know About The Ashton Eaton And Brianna Theisen Romance - First Kiss, Date, Etc. Their first kiss came at Pan Am juniors in Brazil. First date? Olive Garden when Eaton made a mix CD and bought roses. Win At USAs Was Sweet Vindication For An Un-Sponsored Nicole Bush And Her Furman Elite Team New Balance is now offering a stipend. Calabar High School Coach Michael Clarke Said He's "Honoured" To Be Jamaica's Health Coach For Moscow USATF should consider having high school coaches "coach" the US team instead of it having college coaches use it to pad their resumes after kissing up to USATF officials for years to get the "honor." WADA's 2012 Annual Report Is Released Someone read it for us and tell us what's newsworthy. 2013 State Of The Sport - Part II: Running Industry Report - Participation And Shoe Sales At Record High; Charity Fund-Raising Down Shoe sales were up 23% to $3.04 billion. 21-Year-Old British PVaulter Holly Bleasdale Ditching Dan Pfaff, Going To Ttrain Full-Time In Cardiff She had been splitting her time between AZ and Wales. Forbes.com: Should Mary Cain Go Pro? We almost always say no, but in this case we say yes. She hasn't been on a HS team in ages. UCF Sophomore Octavious Freeman Going Pro After Finishing Runner-Up In The 100 At US Champs As She Signs With Icon Management According to this article, a part of the reason she'll be passing up her remaining 2 years of eligibility is UCF coach Caryl Smith Gilbert is leaving for the University of Southern California. Friday Night: RRW/LRC Rabbits Falter, Kenenisa Bekele Outkicks Merga For 27:12 WinThe 13:18 first 5k never materialized. In the end, Bekele was better than everyone else over the last 200 but he's got some work to do to scare Mo Farah. MB: Live Discussion Thread The men's 1,500 produced zero "B" qualifiers for the Brits, including O'Hare and Emanuel. 18-year-old Jessica Judd has broken 2:00 in 800. MB: FARAH OVER ALAMIREW - 53.4 LAST LAP!! MB: Do you think Farah will get Knighted? MB: What was Gebrhiwet thinking? LRC Preview Mo Farah Will Have His Hands Full In A Fantastic Men's 5,000 We break down the mid-d and distance action like only we can. There is a scintillating men's 5,000 where Mo Farah will have to earn his $$$ this time as he faces the top two in the world in Hagos Gebrhiwet and Yenew Alamirew. Plus Abebe Aregawi (and Morgan Uceny) in the women's 1,500, Mo Aman in the 800, a men's 1,500 (with Lee Emanuel and Chris O'Hare), and a women's steeple and 800. *Press Conference Highlights: Quotes From Shelly-Ann Fraser-Pryce, Carmelita Jeter, Sally Pearson, Aries Merritt And Greg Rutherford Sally Pearson on Brianna Rollins' WLing 12.26: "Brianna's time is bloody fast. I think it shows one of us can break the world record. I hope I'm the one to do it but I think we can step up." *Olympic LJ Champ Greg Rutherford Was Dropped By Nike After The Games And Has Created His Own Kit And Logo To Compete In And Sell He's called it "GRavity" and says, "Hopefully, it will prove to be a good investment. I am just trying to make the best of a bad situation, really." *Aries Merritt Talks About Battling Back From Injury To Scrape His Way Onto The Team For The US Championships He was only able to start hurdling a week before the meet. *SA's Khotso Mokoena Faces Deep LJ Field In Birmingham, Including Olympic Champ Greg Rutherford And Russian World No 1 Aleksandr Menkov Also US's past Olympic champ Dwight Phillips. *IAAF Preview: Carmelita Jeter Vs. Shelly-Ann Fraser-Pryce In 100 Men's 100 has 10.01 Japanese runner Yoshihide Kiryu vs. Isiah Young, Michael Rodgers and Nesta Carter. Erik Kynard takes on Olympic bronze medallist Robbie Grabarz and Jesse Williams in HJ. *Mo Farah Will Face His Biggest Test Yet As He Faces Top Ethiopians Hagos Gebrhiwet, Yenew Alamirew & Ibrahim Jeilan In Birmingham 5k "This is the big one. This is where the business end of the season starts for me. It’s a very strong field. 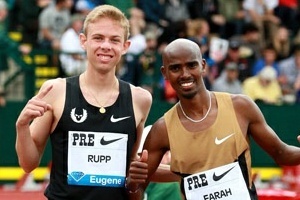 I've been looking forward to this race since my disappointment in Eugene at the start of the month." *Good IAAF Blog Entry By Jenn Suhr On Her Season And Looking Forward To Moscow Ahead Of Competing In Birmingham Sunday Talking about USAs: "Call me superstitious, but the best way to end up watching the World Championships on television is to assume you are going to be there before you actually qualify." Kenya's 2013 World XC Junior Silver Medalist Leonard Barsoton Runs 27:33.13 In 10k Debut At Hokuren Distance Challenge Fukagawa In Japan He narrowly beat out Jeremiah Karemin who ran 27:33.38. Philemon Baaru Defends His Title, Winning The Safaricom Lewa Marathon In Kenya In 2:20:50 Fridah Lodepa won for the women in 2:48:41. IAAF Recap Of Day 1 Of The European Cup Combined Events Championships: France's Kevin Mayer And Ukraine's Hanna Melnychenko Are Individual Leaders France leads the team scores. Not Surprising: Study Finds Kenyan Teens Are Extremely Active And Perform Exceptionally High On Fitness/VO2 Max Tests The study concluded that "highly active and energy-demanding lifestyle of rural Kenyan adolescents may account for their exceptional aerobic fitness and collectively prime them for later training and athletic success." IAAF Full Meet Recap: Mohamed Aman Won The 800 (1:43.78) Kirani James The 400 (44.49), Valerie Adams The SP With A World Lead In the women's steeple, the pacemaker dropped out right before a water barrier confusing some athletes and causing some to crash into the barrier. Milcah Chemos took advantage and won in 9:17.72 over Hiwot Ayalew's 9:19.87. 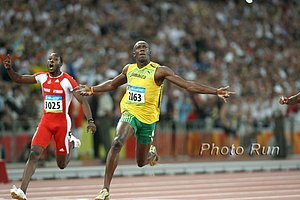 Asafa Powell Wins 100m In Ostrava ... Twice He ran 9.97 to win the first one, not realizing that there had been a very late false start called and they ended up re-running the race. He won again in the second race with 10.04 over Kim Collins. Yelena Isinbayeva won the PV in 4.78 as Olympic champion Renaud Lavillenie won in 5.92m. Sally Pearson Wins 100 Hurdles In 12.67 In Her First Hurdles Race In 11 Months "The time is a good sign for the world championships in Moscow, but I definitely wanted to run faster." Ethiopian Champs: Belete Assefa Wins Ethiopian Championships 10k In 28:28 To Join Kenenisa Bekele, Imane Merga And Ibrahim Jelian (Defending WC) On Their Team For Moscow Amazing, they managed to fit 54 runners on the track for this race. Meanwhile, USATF only let 9 run in the 5k at USAs. IAAF Preview Of Birmingham LRC preview coming soon. July 4th: 33 Olympic Medalists From London Competing At Lausanne DL: Hagos Gebrhiwet Vs. Yenew Alamirew In The 5,000 Highlights Mohamed Aman will race Botswana's Olympic silver medalsit Nijel Amos in the 800, Kimberlyn Duncan, Allyson Felix, Carmelita Jeter and English Gardner will race in the 200 and the 110H will have Ryan Wilson, David Oliver and Jason Richardson. July 19th: Sally Pearson Vs. NCAA/US Champ Brianna Rollins In Monaco 100H On July 19th IAAF Asbel Kiprop in the 800. Tyson Gay vs. Justin Gatlin in the 100. Looking Back At Last World Youth Champs Two Years Ago In Lille, France 800 stars Ethiopia's Mohammed Aman and Kenya's Timothy Kitum lost the 800 to Leonard Kosencha. 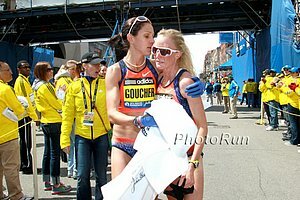 LRC Women's 5,000 Preview: Last Year's Race Was Truly Epic; Let's Hope for An Encore Shalane Flanagan, Jenny Simpson and Molly Huddle. It doesn't get better than that. Mo Farah's Twin Brother Omar Is In Jail Apparently he has done time before for burglary, criminal damage, assault and theft. He had vowed to clean up his act after Mo won in London, but is now in jail again for "breaking a 16-week suspended sentence for burglary and a string of other offences." US Distance Runners Dreaming Of The Olympics At ZAP Profile on the North Carolina training group's coaches and athletes. US Trials Surprise 4th Placer Matt Elliot Matt Will Chase "A" Standard At KBC-Heusden On July 13th And Bottrop Gala On July 19th If Matt Centrowitz and Leo Manzano both get the "A" standard during the window before July 20th, then Elliot just needs the 3:37.00 "B." Otherwise he needs the "A" which is 3:35.00. USA SP Champ Michelle Carter Is Friends With Valerie Adams, But Thinking She Might Be Able To Beat Her In 2013 At USAs, Carter set the US NR and improved her PR to 20.24m. Tribute To France's 1956 Olympic Marathon Champion Alain Mimoun, Who Passed Away Thursday At The Age Of 92 Mimoun was nicknamed "The Zatopek Shadow" following three second-place finishes behind Emil Zatopek at the 1948 and 1952 Olympics.